Main visual for TEDxYouth@Kyoto 2013 was released in mid-June. It has been used in all of our media - blog, official posters, other covers and facebook page. This represents the "face" of TEDxYouth@Kyoto. This visual was specially designed for this event by the main staff team. We would like to explain a little bit about it. 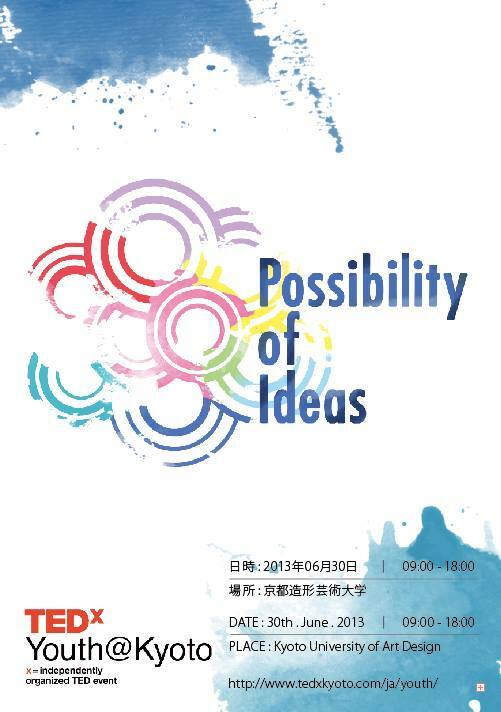 First, this event theme is about "Possibility of Ideas". It has a focus on the "potential and diversity of University". Not only being an ancient capital, Kyoto also has many universities which comes with the potential and diversity of many field of studies. We see Kyoto as a place where it leads the spread of dynamic ideas. This is expressed by the colorful ripples. Having students involved in university activities, going beyond their boundaries of institution and field of study, we see a variety of possibilities that reborn from the ripple. This image is represented by watercolor. The color 'Blue" (青) is the key color of the whole picture. “青二才” is a Japanese saying which means immaturity. On the other hand, in saying "青は藍より出でて藍より青し” ("The pupil has outdone the master. "), blue is used as a color that indicates the great potential where young people can grow. Just like the color of blue, being a student that has not yet reached maturity state comes with an infinite possibilities. We hope enjoy our explanation and take a moment to reflect on the main visual as a reflection of TEDxYouth@Kyoto concept. 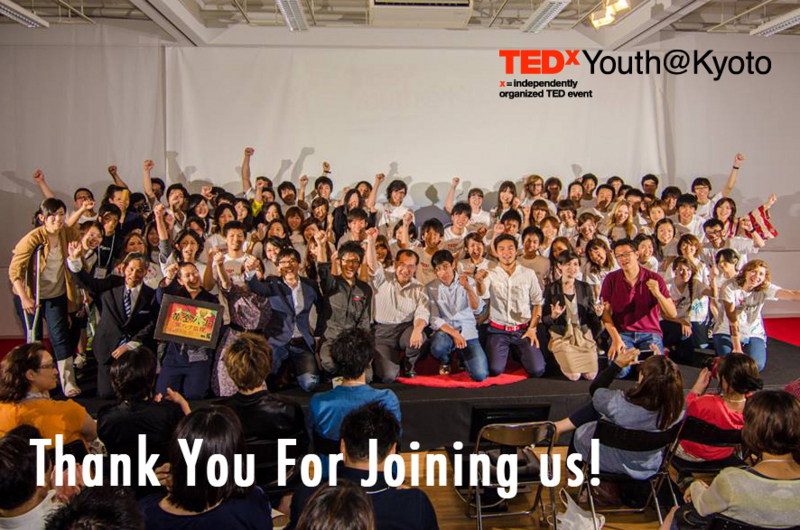 ―We are only 6 days away from TEDxYouth@Kyoto 2013! Introduction video of "TEDx" was posted on Youtube! Chris Anderson, the owner and curator of TED, described what TEDx is. And in this video, some photos of our TEDx community in Japan "TEDxKids@Chiyoda" appeared in the video three times! This makes us very happy to see! Also, TEDxKids@Chiyoda 2012 was mentioned as "Best Practices" on the TEDx official blog. 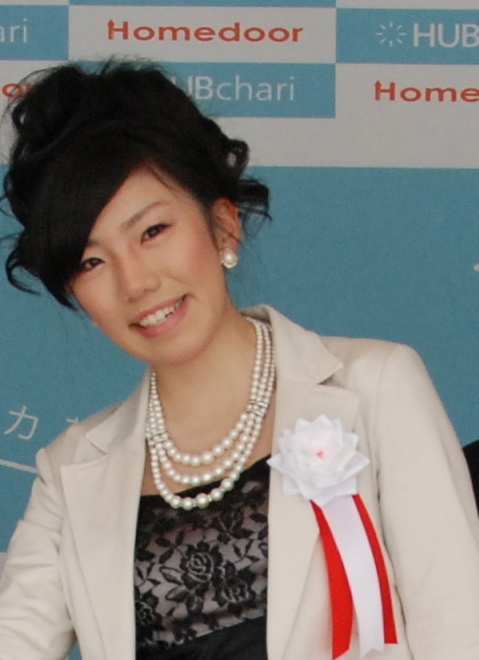 Out of all the TEDx events, TEDxKids@Chiyoda 2012 received high praise worldwide. The other day, facebook page of TEDxKids@Chiyoda also introduced TEDxYouth@Kyoto 2013 event which will be held in only 9 nights away! 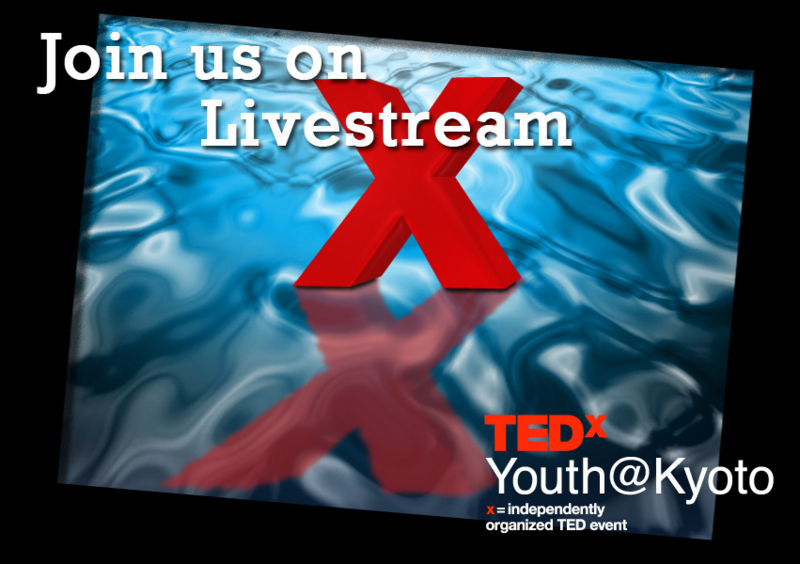 No matter where you are in the world, please join us at TEDxYouth@Kyoto on "Ideas worth spreading" through Livestream - broadcasting live! 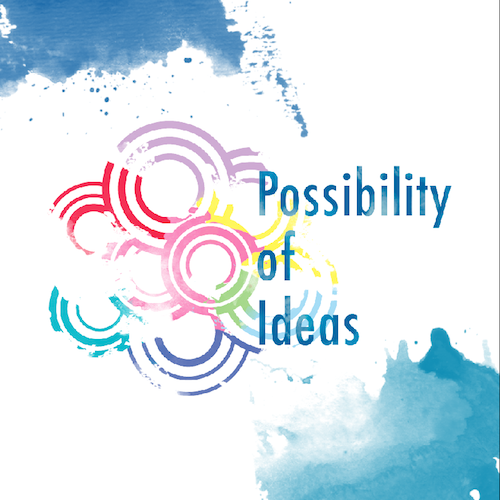 The goal of our upcoming TEDxYouth@Kyoto 2013 event—”Possibility of Ideas”, to be held at Kyoto University of Art and Design, is to stimulate the university community which will bear the future of Japan and to create an event that will bring together a diverse group of people to share their ideas with all of Japan. Universities are a diverse place where people can meet and interact with interesting people majoring in a variety of fields. A place where students are given countless opportunities to challenge themselves, make mistakes, learn from them, and realize the possibilities that they hold. Universities share the same values as TED – that individuals involved have their own expertise and that the organization as a whole is as dynamic and diverse as those individuals. Universities, too, have the potential to become a platform to spread innovating ideas and strengthen their community. Kyoto, a well-know university city, is the perfect place for the university community to explore the possibilities of ideas. TEDxYouth@Kyoto made up of students from a variety of Kyoto universities aims to bring together a TEDx event, where participants and speakers alike will explore the possibilities of their ideas and share these ideas with the local community and beyond in order to revitalize and energize Japan.